Mention religion in the context of international affairs and it automatically raises the red flag of violence and tension between different communities. However, this is to downplay or neglect the positive role inter-faith dialogue can play in resolving conflicts. When religion is a significant factor in violent conflict, traditional diplomacy is not always the most successful way to seek peace. Inter-faith dialogue, on the other hand, brings a spiritual dimension into the peace-making process, putting forward common values such as justice, compassion and the importance of social justice. This event will address inter-faith dialogue as a mechanism to effectively complement secular peace-making in mitigating violence and promoting peacebuilding. The event is organized by the IPU and the Permanent Delegation of the Sovereign Order of Malta. It will take place from 10:45 to 12:00 in Room XI, Palais des Nations. All participants and speakers who do not have a valid UNOG grounds pass must register via the UNOG registration system - INDICO. 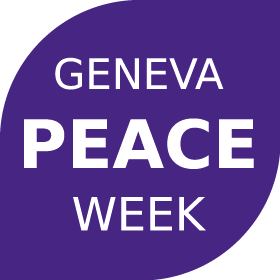 They will then receive a single badge valid from 7 to 9 November 2018 and will be able to attend all events of Geneva Peace Week 2018 without further additional registration.